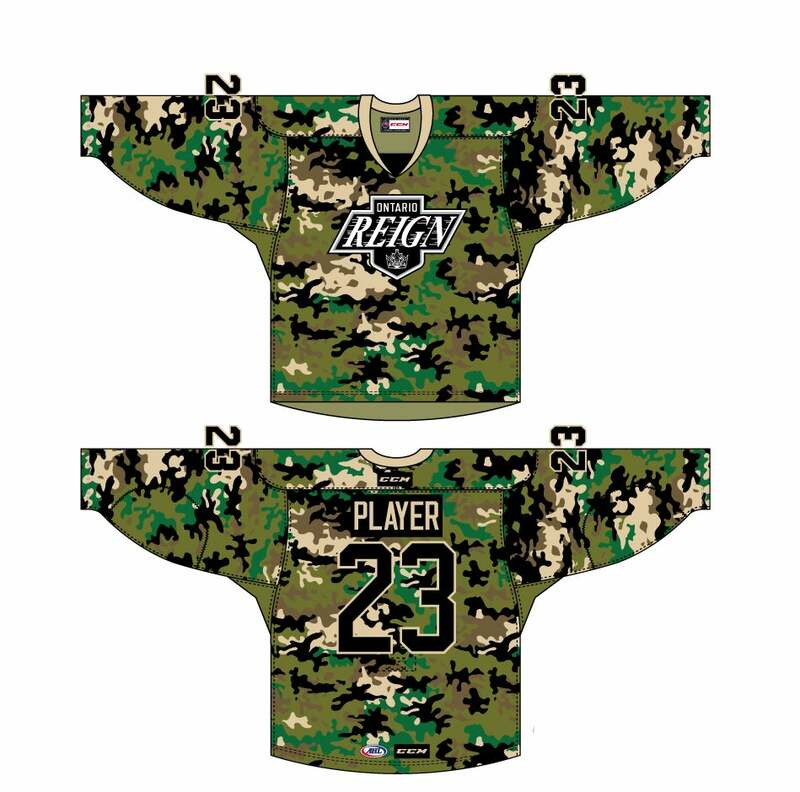 Ontario, CA – The Ontario Reign, proud AHL affiliate of the Los Angeles Kings (NHL), unveiled their Military Appreciation Night jersey to be worn this Saturday, April 8 on Military Appreciation Night presented by the Bob Hope USO and Ontario International Airport Authority against the San Diego Gulls at 6:00 p.m. at Citizens Business Bank Arena. Click here to view the jersey. The Military Appreciation Night jersey will be worn by the players and auctioned off live on the ice after the game benefiting the Bop Hope USO. 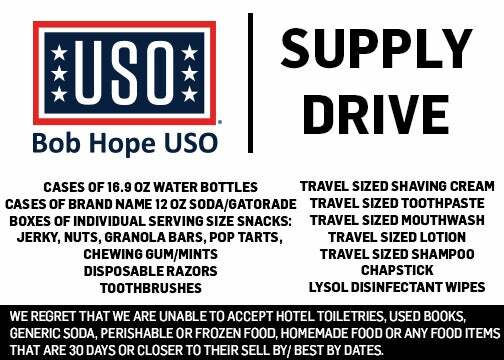 The Reign have teamed up with Bob Hope USO for a supply drive for our active military overseas. Fans are encouraged to bring their donations to Military Appreciation Night. Click here for a full list of supplies requested. Grab an exclusive Military Appreciation Night Pack including a ticket, t-shirt and donation starting at $30 with NO FEES at OntarioReign.com! The Reign continue their four-game road trip tomorrow, Wednesday, April 5 against the San Jose Barracuda at 7:00 PT. Tune in to the action at OntarioReign.com!